On Thursday, information arose from Groupe Bernard Tapie lawyer Behnam Dayanim regarding the debts of several high-profile players and the impact those debts have on GBT's impending deal with Full Tilt Poker. Erick Lindgren, Mike Matusow, Phil Ivey, and David Benyamine were named but didn't receive as much attention as Barry Greenstein, a member of Team PokerStars. Because of the overwhelming response to Greenstein's name being mentioned, he posted a statement on the TwoPlusTwo Forum, which can be read below in our exclusive interview. 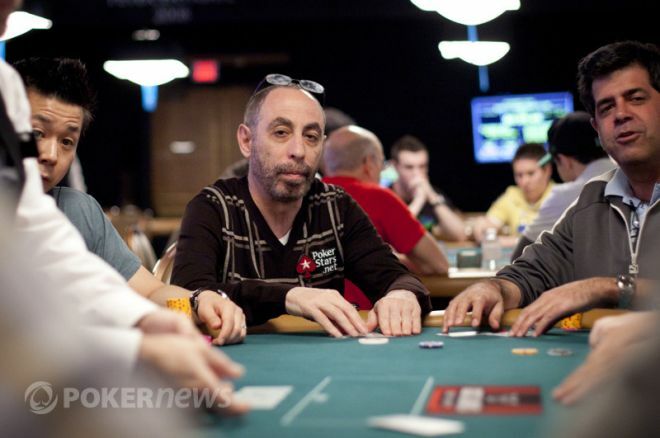 Greenstein sat down with PokerNews Thursday for a followup to his official statement. Let's start with the $400,000 that you said you borrowed from Full Tilt Poker. Did you borrow the money from Full Tilt or from one of the board members directly? I just made a call. I don't think it's right to say to who but let me give you an example. I played at casinos and I played online. Counting casinos, I owed at one point like $3 million on my credit lines. So I owed this money, too, and [Full Tilt Poker] never asked me back for it, so it was easier to pay other people than them. A lot of people are saying, "Hey, how come you still have their money, how come you never paid it back for so long?" A lot of us, we use it as operating capital as much as we can. We deal with virtual money when we can. You know, borrowed money with no interest, which you get in a lot of these situations. It's easier to deal with a credit line if you can do it. So I didn't pay. They weren't bugging me. Obviously, Black Friday came and, of course, they want to get paid by a lot of people. One of the things I don't think people understand is what do you think would happen if I paid the $400,000 at that point? Of course, I didn't want to pay it all because other people owed me money, which of course people on the forum are saying, "that's your problem. You owed $400,000 you're supposed to pay $400,000," which in the end will be true whether I get paid by other people or not. The point is, now they're reaching out to everyone after they burned through a lot of money. If we had paid Full Tilt management that money, where do you think that money would be right now? It would just be gone. We'd probably have no shot at it. I think it was a wise decision to hold off, certainly at that point. I understand people's point of view that I owed money and I should have paid it right away. I realize that case is certainly to be made. I was losing money other places so I didn't want to pay it if I didn't have to. They weren't worried about it. They know I eventually will pay it. But you see my point. I don't think we really wanted anyone paying after Black Friday. I think it still holds true now. Would you pay the money back now if you were assured that the money would go into an account for U.S. players? How can you be assured? That's just theoretical. What I think will happen, and I don't see any way that it can't happen, is at some point there will be what I would call a judgement day where the DOJ will have someone else — like in the Madoff case, a handler — put in a pool, and the people who are owed money get part of that pool. That's how it works in these cases. That will happen at some point. That's the time when I can negotiate with the DOJ. Have you spoken with PokerStars about this situation? Yeah. I told them as soon as Black Friday hit. I said hey this might end up looking embarrassing but I owe Full Tilt money from a few years ago and I haven't paid it and I'm sorry about that, but there's some problems. I mentioned that to them and we're waiting to see what's going to happen. They're aware that there was an issue here. Obviously they're not happy that I owe money to Full Tilt, but I think they understand the position — that it's a bigger, poker community type of issue of when and how the money is going to get paid back to the players. Did the Full Tilt loan come before or while you were a PokerStars pro? I'm not even sure. I played before they had the big games. People don't even realize I played on BarryG1 [on Full Tilt]. I talked to people in chat and everything, and what happened was, I told PokerStars at the time. I said, "Hey they have big games, we don't have big games at the time," and I was told they don't think it's a good idea to play under BarryG1 cause it still looks like I'm representing their site. So at that time they said they prefer that I didn't play under a name that was recognizable. It was probably in like my first year or two with PokerStars that I played on Full Tilt. They were OK with that? They probably didn't want me to but this was before they had the $400 and $800 games. It wasn't explicitly forbidden in my first contract. At this point, I'm not supposed to, but Stars has big games so I play on Stars. Have you spoken with Phil Ivey or Erick Lindgren or any of the people mentioned by Bayanim that borrowed money from Full Tilt? No, I mean, I speak to Phil all the time. Right, but about this situation? There are a couple of things that are a little curious about this. I don't know that they've contacted everyone like they acted like they did. I know they contacted me, but I've talked to other people [who owed money] who weren't contacted by them, which is a little curious. What I think is, they tried to reach out to see what in Full Tilt they have as possible assets they can get. I mean, the lawyer specifically told me that, that they're looking to see what assets they can get out of Full Tilt. He's a good guy to talk to. He seems like a good lawyer, a good guy. But in the end, it kind of felt like, "we're going to take away whatever we can to help us, and we're going to leave as little as possible left." I just had this feeling like if I dealt with them, they'd be real easy to deal with, money would go to them, and then I could just see them totally disassociating from the U.S. players. Then at some point, the American players would come to me and say, "Nice going. You gave Tapie money. Why didn't you look out for me? Now there's no money left for U.S. players." And they don't feel like I owe it to them. That was my mistake. I gave money to someone who really shouldn't have been given that money. I didn't borrow money from Tapie. It just seemed not to make sense, just like it wouldn't have made sense three months ago if the management at Full Tilt would have called me and said, "Hey, we need that money. Give us that $400,000 you borrowed from us." I would have walked on that too. I think it's the right thing here. I still think, the advice I'd give to anyone else in this situation, including Phil, is, be ready to pay when this whole case is resolved. Which hopefully will happen in the next six months. Obviously not everybody has the money to pay. Hopefully the DOJ will set up some sort of way for them to pay in installments and people will be able to pay what they owe. There will be some sort of judgement day on this. There was an article published Thursday where Dayanim said several of the players are unwilling to pay at this point. How much truth is there in that? One of the reasons I put this statement out is because I want to make it clear I owe this money. I will have to pay this money at some point. You know, you borrow money and you have to pay it back — I don't see any other way to look at that. Hopefully people who are unwilling are thinking like I am. Who's supposed to get the money? If you were a U.S. player would you feel comfortable if everyone said, "OK, we're going to give Tapie the money?" I think everyone would have felt better if everyone would have come forward and said, "I admit I owe this money. I may not have it all now. I may have some of it. I may have to pay it in installments, but I do admit that I owe it and I will try to pay it off." I think if everyone made that statement, which is essentially the statement I made, then people would feel a little more comfortable that people are owning up to their debt and they're going to pay it. Now that you've made that statement, do you think other people will come forward? I don't know how many of those people read TwoPlusTwo or this other stuff. I don't know. In the gambling world, the way we usually deal with debts is, if you gamble, you owe money, that's just the way it is. As long as the person knows how much he owes me, and says he plans on paying me, I feel like he's honoring his debt. I understand they can't always pay the whole thing. In the Full Tilt situation, people borrowed money, and they might have lost it, spent it, got taxed on it, whatever. A lot of those people who owe money probably don't have the money. But if they at least acknowledge that they do owe it and they'll pay it as they can, then that's the right thing. Will they do it? There's going to be a list eventually of money that's out there that's owed. And I think everyone is going to be asked one at a time, "do you owe this money and how are you going to pay it?" I don't see anyone at the point when the DOJ is done thinking that putting the money into a pool isn't the right way to do it. I think everyone will feel more comfortable that the money is paid that way instead of the Full Tilt management or Tapie Group or any other entity. What is your opinion of Groupe Bernard Tapie? Do you think they will be able to turn this mess around? I don't think I can judge on what they're going to be able to do. Remember, when they were initially announced they were interested in buying Full Tilt, a lot of people thought they were actually going to buy it for a certain price and turn it over to someone else for another price. If you remember, that was the speculation. That they haven't run anything like this and they're not going to now. We know what they're experts at — they're experts at takeover. They aren't experts at owning online poker sites. Well they have the ISPT going on the side now, too. People don't know. We're all speculating. We'll see. I talked to the lawyer, he seemed like a reasonable guy. I don't have anything negative to say about them personally, but we still don't know what's going to happen. You gotta remember, the DOJ in some sense is much worse actually to deal with than the Tapie Groupe. They were going to be really easy. I would have been legally off my debt. The DOJ can seize your property. They can do whatever. They can force you to deal in ways you don't want to. As long as the money goes to the right place … I'd feel bad even with the DOJ, but I would have no choice. If the DOJ comes and says we're taking your money, there's nothing I can do. Like a lot of people, I'm still concerned with what's going to happen to the money that the DOJ seized. Where's that going to go? Is it going to be criminal penalties? What's going to happen to Ray Bitar's accounts that they've seized? We're still all kind of in the dark about where that money's going to go. Some people think it's a pipe dream that it's going to go back to the players. Time will tell. And I'm hoping, I don't know how long it's going to be. The election kind of clouds things. Hopefully within six months we'll get some kind of resolution and we'll know where the money they seized is going and where the money is owed is going. People are kind of impatient and want me to cut a check to the Tapie Groupe for $400,000, but it still doesn't seem like the right thing for me. One thing that people don't see through, is when Black Friday came down, you don't think that I knew that I owed this money and that it wasn't going to come out that I owed this money and that it would be embarrassing for me as a PokerStars Pro that I owed money to Full Tilt and they weren't going to like it? The easy way out would be to negotiate some way to get that paid off so my name would be off the radar. Obviously that would have been the best way out for me professionally. I've been in discussions with other people who owe money and they're all saying the same thing, which is, "We don't want to give up any money to anyone cause we're afraid it's just going to be thrown down the hole." It's easy for me to think this can't have an effect on the deal. I even heard frankly that this isn't what's holding up the deal. This is like, they're making this up, that this is something that has impact on the deal. That isn't the thing that's holding up the deal at all. To me, they're just looking at getting as much money in their pockets as they can cause they want to get as close as they can to freerolling this whole Full Tilt thing and not have to pay money out of their own pockets and just use money they get from other places and run the site and pay off if they make money from the site. That's the way I look at it, just a very self-serving freeroll. I think what's more concerning than the money that's owed on the accounts — that money needs to be paid back at some point — what's more concerning is to get to where any money that was given out when the money was insolvent is considered in the same boat as all these other debts. To me it looks the same and I think to most of the poker community looks the same. That money, when the company has no money to give you, is not yours.